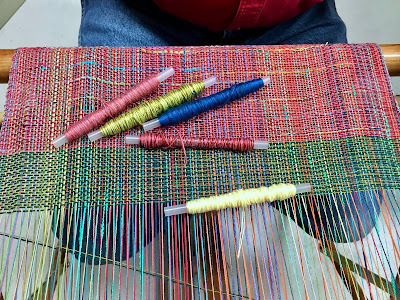 To start the new year, I went to a friend's studio and spent the day weaving with many other weaving enthusiasts. 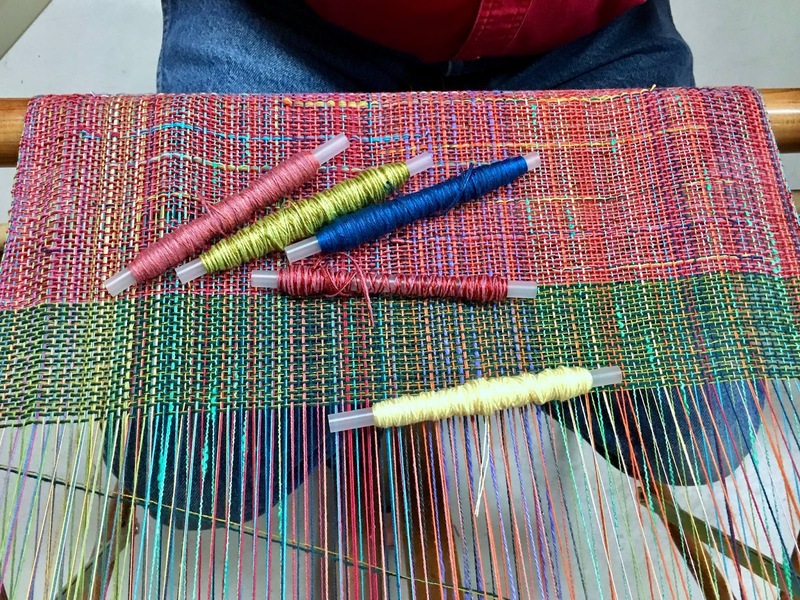 Here is a photo - taken by the "official" event photographer - of my weaving in progress. The warp I am working on is still the "colorful warp" from my last post. There is a rumor that I managed to weave more than a yard on this piece that day. There is only one reason that is odd. With a room full of people you don't see often, lots of time is spent visiting, sharing ideas and techniques - and of course just talking. 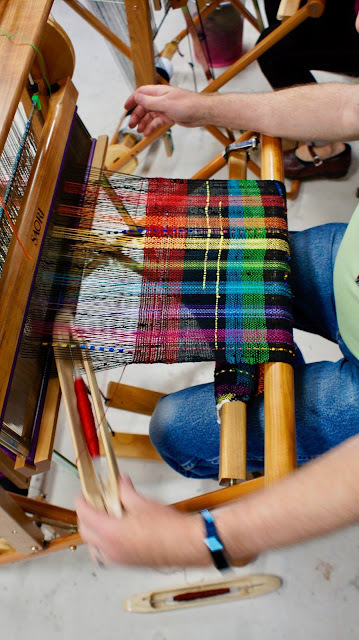 The yarn store a couple of towns over has started offering weaving classes. Looks like they are always. Interesting that you started this year and last with a colourful warp. I'm really fond of the large blocks of bright colour on last year's weaving. What became of it? I'm with Marlene with this one, I love the bright distinct colors for last years. Odd really because everything I'm making is in pastels lately. What is type of yarn the last years made? Heres wishing you a great New Year. This year's is so pretty! Funny I read of you talking about colorfulness, as I just spent a couple hours piecing the vibrant rainbow colors in my "Listen With Your Eyes" diamond stars.